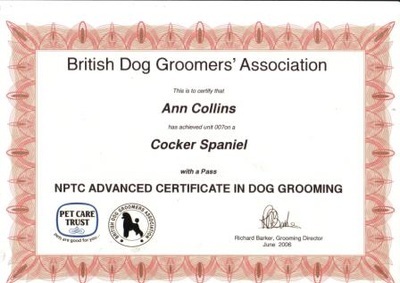 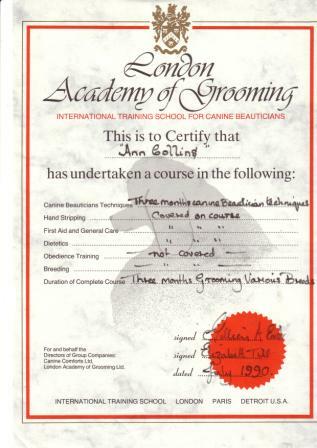 I'm an award winning groomer that trained in the London Academy of Canine Beauticians in London in 1982 specializing in care of all dogs, trimming, clipping, bathing, drying, styling, nail clipping and more. 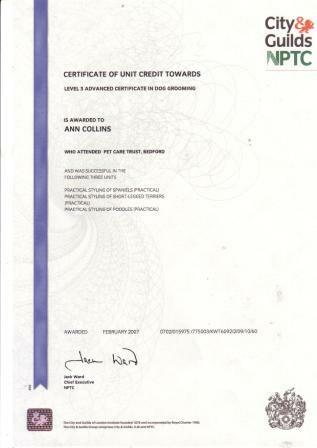 I am City & Guilds Qualified with my LCGI in the Higher Diploma in Dog grooming, I hold a certificate as a Canine First Responder and Red cross first aid for us humans. Along the way I have entered grooming competitions and have several awards for grooming. 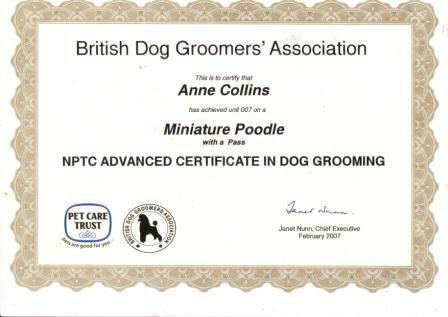 I show standard poodles Have two champions both international champions, Iam on The poodle club of Ireland committee as the health officer and committee member, I am also a member of the national association professional creative groomers, A lifetime member of the Irish kennel club. 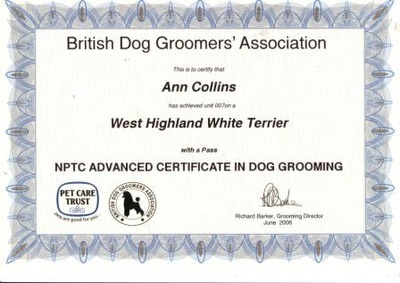 Grooming for me is a passion, as you can see with 2 white standard poodles and 1 Black and lots of hair, it has to be for the love of it. 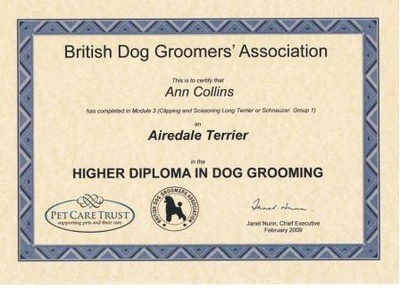 Having grown up with a large family with dogs, Horses and other animals. 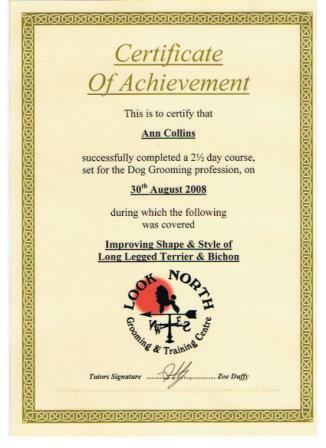 Grooming was a natural profession for me. 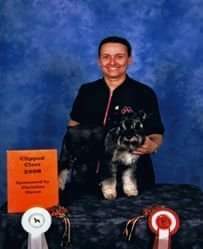 Showing and riding horses and dogs has been part of my life as is animal care. 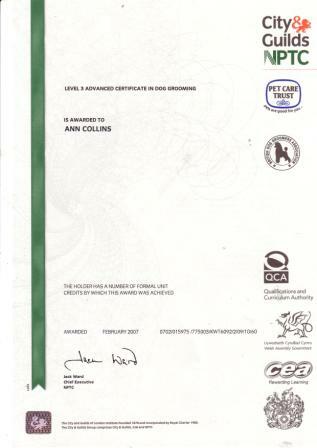 I can give you advice on coat care, feeding your dog, training your dog give you information on Veterinary surgeries in the area if you do not already have a vet. 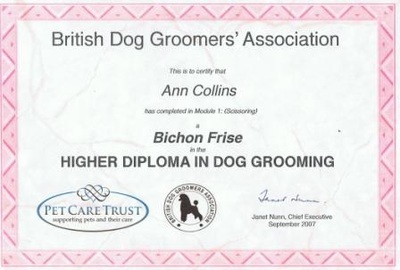 Please feel free to ask questions at the time of grooming appointment. All dogs brought to me for grooming, must do so with a collar and lead and have Vaccines up to date. 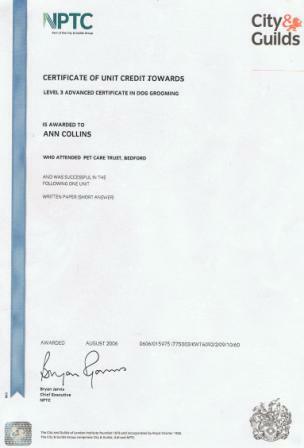 It is now law in Ireland that ALL dog are micro-chipped.